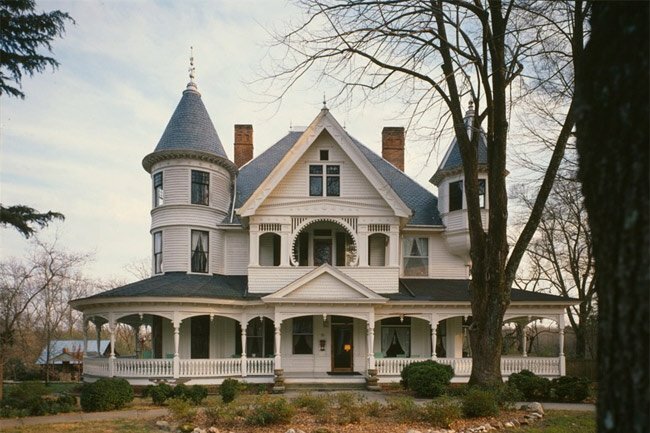 The lavish John Calvin Owings Home in downtown Laurens is a prime example of the embellished Queen Anne architectural style so popular in the Victorian era. 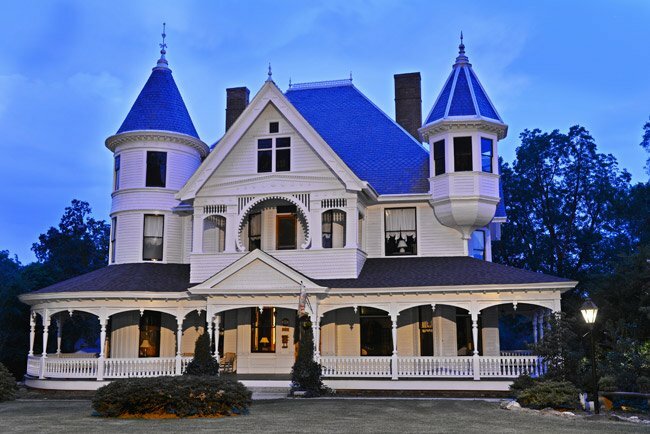 Built in 1896 and designed by architect George F. Barber, the house features turrets, spindles, expansive porches, and stained glass transoms. The interior boasts twelve fireplaces. Owings, born in 1857, was a prosperous entrepreneur who founded Owings and Bobo Mercantile Firm. Not only was he successful in his business, but he also flourished in public life, serving as a trustee on the school board, Director of the Chamber of Commerce, and even mayor of Laurens from 1916-1918. The home he built more than one hundred years ago remains in the Owings family. Built ca. 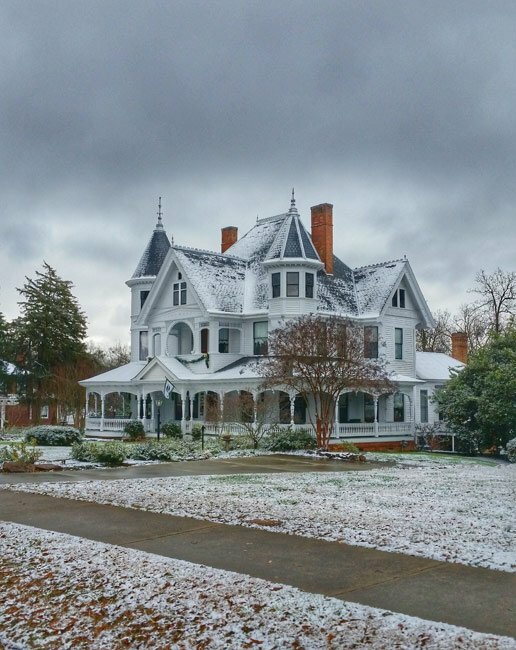 1896, the John Calvin Owings House is one of the most outstanding examples of Queen Anne architecture remaining in the city of Laurens. Owings, the builder of the house, played a prominent role in the political and economic activities of the city. Owings and his partner Charles B. Bobo established the mercantile firm of Owings & Bobo, and later, Owings served as a member and director of the Chamber of Commerce. Owings also served as Mayor of Laurens from 1916 through 1918. 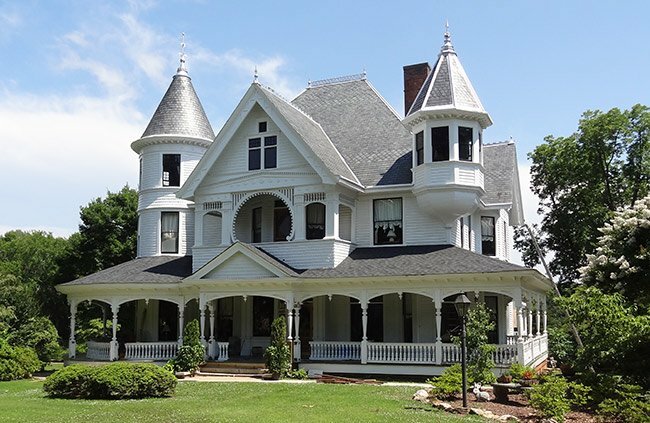 About 1895, Mr. Owings had George F. Barber & Co., architects from Knoxville, Tennessee design a house to be built on West Main Street in Laurens. 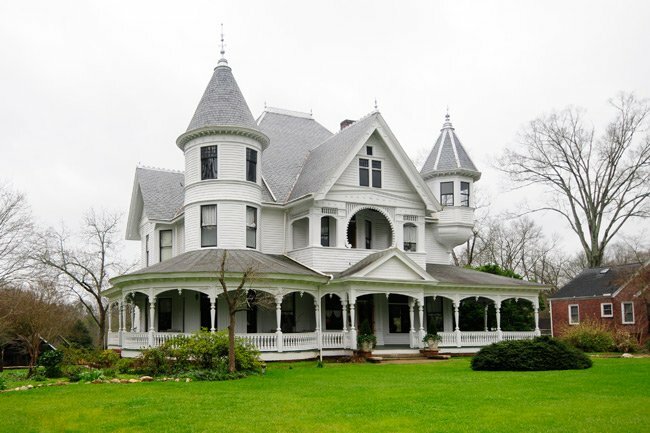 The two and one-half story house blends exterior surface materials (clapboard and shingle siding), high multiple roofs, turrets, oriels, cresting, turned spindles, and rambling porches. The projecting front gable includes a second-story portico with a horseshoe arch and spindle decoration. The steep, slate, hipped roof features cresting and finials. Significant in the interior of the home is the oak paneling, staircase, mantelpieces, and latticework. There are twelve individual fireplaces in the house, many of which feature glazed tile and mirrored overmantels. There are four outbuildings included within the nominated acreage. All are in fair condition and appear to be contemporary with the house. The house is a private residence so regular tours are not something that occur. You may want to check with the historical society in the area to see if this house is ever featured on any annual tours that they may do. That is a great way to see private places. Is this home ever open for a tour to the public? Do they have visitation to this house?